We manufacture 3mm and 8mm dry ice pellets. The 3mm pellets can be spread easily over products or packed around any shape to create a protective layer that will protect goods against high temperatures during storage or transportation. The pellets will also float should water be added to the goods. Our 8mm pellets have an average length of 25mm. These uniquely designed pellets can be mixed with goods in order to reduce the temperature during production processes. The pellets will sink to the bottom of a container should water be added to the goods. We also provide clients with dry ice packaging solutions. 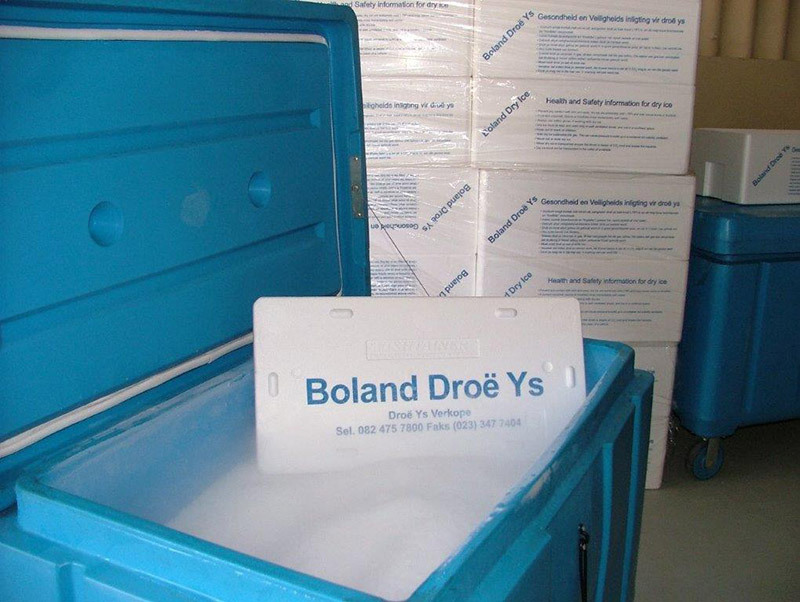 Ensuring that the dry ice lasts longer and also guaranteeing a much safer way of transporting the dry ice.